Arvada Gold and Silver Rare Coins is a private locally owned Rare coin firm located in the heart of Arvada Colorado. 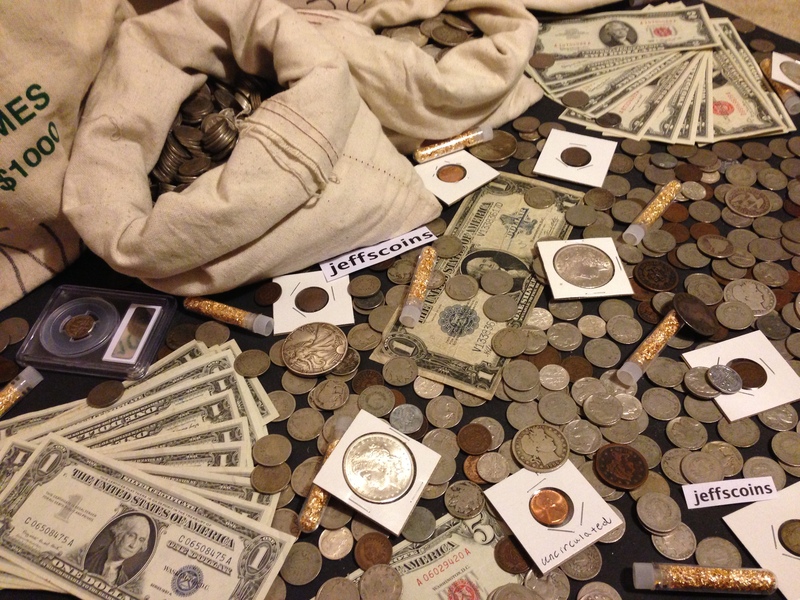 Specializing in Portfolio Appraisal, Asset Allocation and Rare and unique American Coins. Here at Arvada Gold & Silver Coins we have many beautiful Silver Morgan Dollars and Silver Peace Dollars in our Arvada Showroom. We offer 100% of spot price when trading out of your Diamonds, Gold, Silver, Platinum, Palladium, or Junk Silver Bullion into private coins such as Morgan Dollars, Peace Dollars, Saint Gaudens Gold Eagle and Gold Double Eagles, or any other private Rare and Collectable coins Gold or Silver. Our mission at Arvada Gold & Silver Coins is to help our clients into the best performing Rare and Precious Coins on the planet. We have a plan and a strategy for our clients that will give you the confidence and understanding one needs to navigate the complex world of precious metals. Call for your free portfolio appraisal today! We also buy your Gold, Silver, Platinum, Palladium, and other Precious Metals at competitive prices. 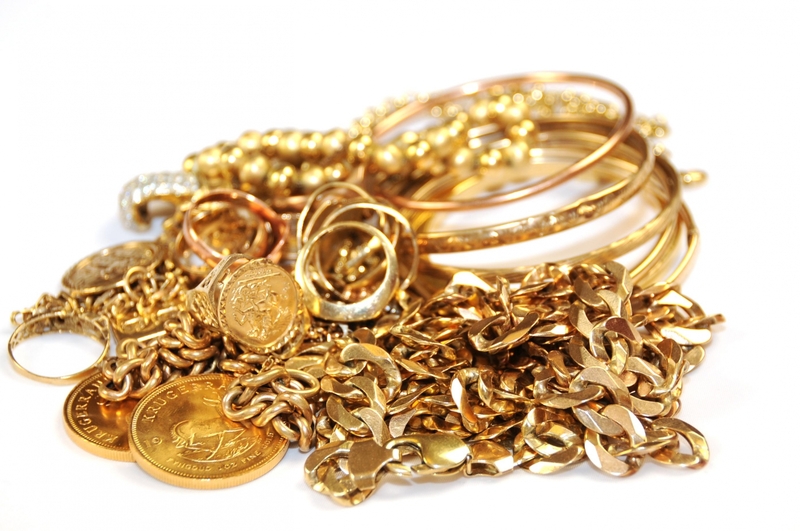 At Arvada Gold & Silver Coins We offer FREE Shipping and Third Party Insurance on ALL Transactions and Trades over $1000! 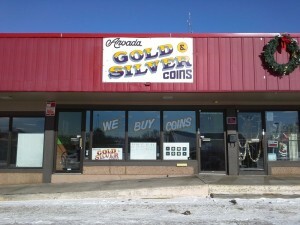 At Arvada Gold & Silver Coins we buy your coins at TOP DOLLAR Prices! Bring in your Liberty Cap Half Cents, Draped Bust Half Cents, Classic Head Half Cents, Braided Hair Half Cents, Flowing Hair Chain Large Cents, Draped Bust Large Cents, Classic Head Large Cents, Coronet Large Cents, Braided Hair Large Cents, Flying Eagle Pennies, Indian Head Pennies, Wheat Pennies, Lincoln Memorial Pennies, Two Cent Pieces, Silver Three Cent Pieces, Nickel Three Cent Pieces, Shield Nickels, Liberty Head Nickels, Indian Head or Buffalo Nickels, Jefferson Nickels, Flowing Hair Half Dimes, Draped Bust, Small Eagle Half Dimes, Draped Bust, Heraldic Eagle Half Dimes, Capped Bust Half Dimes, Liberty Seated Half Dimes, Draped Bust: Small Eagle Dimes, Draped Bust: Heraldic Eagle Dimes, Capped Bust Dimes, Liberty Seated Dimes, Barber Dimes, Winged Liberty Head or Mercury Dimes, Roosevelt Dimes, Twenty Cent Pieces, Bust Quarters, Liberty Seated Quarters, Barber Quarters, Standing Liberty Quarters, Washington Quarters, Flowing Hair Half Dollars, Draped Bust Half Dollars, Capped Bust Half Dollars, Liberty Seated Half Dollars, Barber Half Dollars, Liberty Walking Half Dollars, Franklin Half Dollars, Kennedy Half Dollars, Flowing Hair Dollars, Bust Dollars, Liberty Seated Dollars, Trade Dollars, Morgan Dollars, Peace Dollars, Eisenhower Dollars, One Dollar Gold Coronet Pieces, One Dollar Gold Indian Head Pieces, $2.50 Gold Capped Bust Pieces, $2.50 Gold Capped Head Pieces, $2.50 Gold Coronet Pieces, $2.50 Gold Indian Head Pieces, $3 Gold Indian Head Pieces, $5 Gold Capped Bust Pieces, $5 Gold Capped Draped Bust Pieces, $5 Gold Capped Head Pieces, $5 Gold Classic Head Pieces, $5 Dollar Gold Coronet Head Pieces, $5 Gold Indian Head Pieces, $10 Gold Capped Bust Pieces, $10 Gold Coronet Pieces, $10 Gold Indian Head Pieces, $20 Gold Liberty Head or Coronet Head Pieces, $20 Gold Saint Gaudens Pieces, All U.S. Mint Issued Proof Sets, All U.S. Mint Issued Uncirculated Sets, $1 Silver Eagle Silver Bullion Coins, America the Beautiful 5 Oz. Silver Bullion Coins, Kennedy 50 cent 3/4 oz Gold Bullion Coins, $5 Gold Eagle Bullion Coins, $10 Gold Eagle Bullion Coins, $25 Gold Eagle Bullion Coins, $50 Gold Eagle Bullion Coins, $20 Gold Saint Gaudens Ultra High Relief Gold Bullion, $5 Buffalo Gold Bullion Coins, $10 Buffalo Gold Bullion Coins, $25 Buffalo Gold Bullion Coins, $10 First Spouse Gold Bullion Coins, $10 Eagle Platinum Bullion Coins, $25 Eagle Platinum Bullion Coins, $50 Eagle Platinum Bullion Coins, $100 Eagle Platinum Bullion Coins, All Gold, Silver, and Platinum Commemorative Coins and get paid CASH today! Arvada Gold & Silver Coins also pays TOP DOLLAR on your unwanted Gold Bracelets, Gold Necklaces, Gold Hairpins, Gold Fascinators, Gold Hair Hanglets, Gold Head Jewelry, Gold Chokers, Gold Armlets, Gold Friendship Bracelets, Gold Cuff Links, Gold Bangles, Gold Slave Bracelets, Gold Championship Rings, Gold Class Rings, Gold Engagement Rings, Gold Promise Rings, Gold Pre-Engagement Rings, Gold Purity Rings, Gold Wedding Rings, Gold Belly Chains, Gold Breastplates, Gold Brooches, Gold Chatelaines, Gold Body Piercing Jewellery, Gold Anklets, Gold Toe Rings, Gold Amulets, Gold Prayer Jewellery, Gold Puzzle Rings, Gold Celibacy Vow Rings, Gold Signet Rings, Gold Thumb Rings, Gold Pledge Pins, Gold Membership Pins, and All other Gold Jewellery in 8 Karat Gold 10 Karat Gold 12 Karat Gold 14 Karat Gold 18 Karat Gold 20 Karat Gold 22 Karat Gold 24 Karat Gold. Arvada Gold & Silver Coins also pays TOP DOLLAR on your unwanted Sterling Silver Bracelets, Sterling Silver Necklaces, Sterling Silver Hairpins, Sterling Silver Fascinators, Sterling Silver Hair Hanglets, Sterling Silver Head Jewelry, Sterling Silver Chokers, Sterling Silver Armlets, Sterling Silver Friendship Bracelets, Sterling Silver Cuff Links, Sterling Silver Bangles, Sterling Silver Slave Bracelets, Sterling Silver Championship Rings, Sterling Silver Class Rings, Sterling Silver Engagement Rings, Sterling Silver Promise Rings, Sterling Silver Pre-Engagement Rings, Sterling Silver Purity Rings, Sterling Silver Wedding Rings, Sterling Silver Belly Chains, Sterling Silver Breastplates, Sterling Silver Brooches, Sterling Silver Chatelaines, Sterling Silver Body Piercing Jewellery, Sterling Silver Anklets, Sterling Silver Toe Rings, Sterling Silver Amulets, Sterling Silver Prayer Jewellery, Sterling Silver Puzzle Rings, Sterling Silver Celibacy Vow Rings, Sterling Silver Signet Rings, Sterling Silver Thumb Rings, Sterling Silver Pledge Pins, Sterling Silver Membership Pins, and All other Sterling Silver, 925, Or other Silver Jewellery. 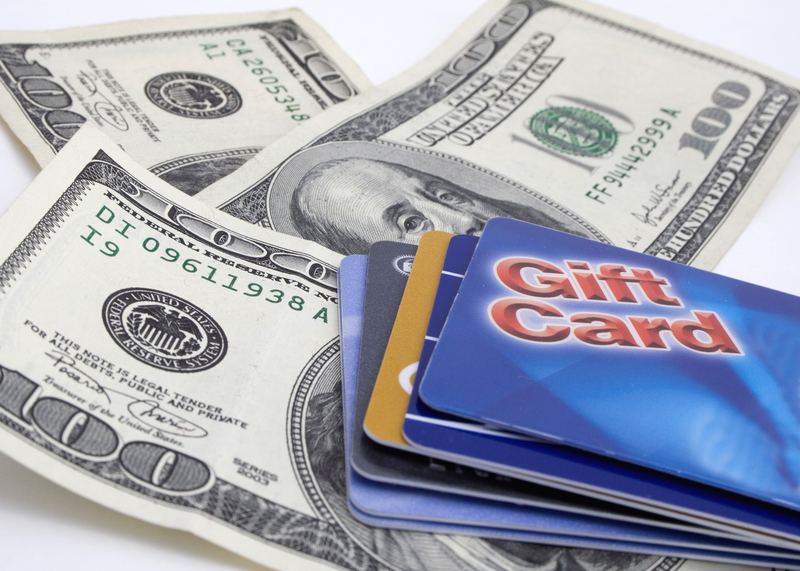 Arvada Gold & Silver Coins now buys your unwanted gift cards. We also offer even more when trading your gift cards! That’s right trade your unwanted gift cards for private rare coins! Call for details! Arvada Gold & Silver Coins is proud to serve the following local Colorado communities: Aguilar, Akron, Alamosa, Alma, Antonito, Arriba, Arvada, Aspen, Ault, Aurora, Avon, Basalt, Bayfield, Bennett, Berthoud, Berthune, Black Hawk, Blanca, Blue River, Bonanza, Boone, Boulder, Bow Mar, Branson, Breckenridge, Brighton, Brookside, Broomfield, Brush, Buena Vista, Burlington, Calhan, Campo, Canon City, Carbondale, Castle Pines, Castle Rock, Cedaredge, Centennial, Center, Central City, Cheraw, Cherry Hills Village, Cheyenne Wells, Coal Creek, Cokedale, Collbran, Colorado Springs, Columbine Valley, Commere City, Cortez, Craig, Crawford, Creede, Crested Butte, Crestone, Cripple Creek, Crook, Crowley, Dacono, De Beque, Deer Trail, Del Norte, Delta, Denver, Dillon, Dinosaur, Dolores, Dove Creek, Durango, Eads, Eagle, Eaton, Eckley, Edgewater, Elizabeth, Empire, Englewood, Erie, Estes Park, Evans, Fairplay, Federal Heights, Firestone, Flagler, Fleming, Florence, Fort Collins, Fort Lupton, Fort Morgan, Fountain, Fowler, Foxfield, Fraser, Frederick, Frisco, Fruita, Garden City, Genoa, Georgetown, Gilcrest, Glendale, Glenwood Springs, Golden, Granada, Granby, Grand Junction, Grand Lake, Greely, Green Mountain Falls, Greenwood Village, Grover, Gunnison, Gypsum, Hartman, Haswell, Haxtun, Hayden, Hillrose, Holly, Holyoke, Hooper, Hot Sulpher Springs, Hotchkiss, Hudson, Hugo, Idaho Springs, Ignacio, Iliff, Jamestown, Johnstown, Julesburg, Keensburg, Kersey, Kim, Kiowa, Kit Carson, Kremmling, La Jara, La Junta, La Veta, Lafayette, Lake City, Lakeside, Lakewood, Lamar, Larkspur, Las Animas, LaSalle, Leadville, Limon, Littleton, Lochbuie, Log Lane Village, Lone Tree, Longmont, Louisville, Loveland, Lyons, Manassa, Mancos, Manitou Springs, Manzanola, Marble, Mead, Meeker, Merino, Milliken, Minturn, Moffat, Monte Vista, Montezuma, Montrose, Monument, Morrison, Mount Crested Butte, Mountain View, Mountain Village, Naturita, Nederland, New Castle, Northglenn, Norwood, Nucla, Nunn, Oak Creek, Olathe, Oiney Springs, Ophir, Orchard City, Ordway, Otis, Ouray, Ovid, Pagosa Springs, Palisade, Palmer Lake, Paoli, Paonia, Parachute, Parker, Peetz, Pierce, Pitkin, Platteville, Poncha Springs, Pritchett, Pueblo, Ramah, Rangley, Raymer, Red Cliff, Rico, Ridgeway, Rifle, Rockvale, Rocky Ford, Romeo, Rye, Saguache, Salida, San Luis, Sanford, Sawpit, Sedgwick, Seibert, Severance, Sheridan, Sheridan Lake, Silt, Silver Cliff, Silver Plume, Silverthorne, Silverton, Simla, Snowmass Village, South Fork, Sprigfield, Starkville, Steamboat Springs, Sterling, Stratton, Sugar City, Superior, Swink, Telluride, Thornton, Timnath, Trinidad, Two Buttes, Vail, Victor, Vilas, Vona, Walden, Walsenburg, Walsh, Ward, Wellington, Westcliffe, Westminster, Wheat Ridge, Wiggins, Wiley, Williamsburg, Windsor, Winter Park, Woodland Park, Wray, Yampa, Yuma, and all Surrounding areas. Arvada Gold & Silver Coins is proud to serve the following National communities: New York New York, Los Angeles California, Houston Texas, Philadelphia Pennsylvania, Phoenix Arizona, San Diego California, San Antonio Texas, Dallas Texas, Detroit Michigan, San Jose California, Indianapolis Indiana, Jacksonville Florida, San Francisco California, Columbus Ohio, Austin Texas, Memphis Tennessee, Baltimore Maryland, Charlotte North Carolina, Fort Worth Texas, Boston Massachusetts, Milwaukee Wisconsin, El Paso Texas, Washington DC, Nashville Tennessee, Seattle Washington, Las Vegas Nevada, Portland Oregon, Oklahoma City Oklahoma, Tucson Arizona, Albuquerque New Mexico, Atlanta Georgia, Long Beach California, Kansas City Missouri, Fresno California, New Orleans Louisiana, Cleveland Ohio, Sacramento California, Mesa Arizona, Virginia Beach Virginia, Omaha Nebraska, Oakland California, Miami Florida, Tulsa Oklahoma, Minneapolis Minnesota, Honolulu Hawaii, Arlington Texas, Wichita Kansas, St. Louis Missouri, Raleigh North Carolina, Santa Ana California, Cincinnati Ohio, Anaheim California, Tampa Florida, Toledo Ohio, Pittsburgh Pennsylvania, Bakersfield California, Riverside California, Stockton California, Corpus Christi Texas, Lexington Kentucky, Buffalo New York, St. Paul Minnesota, Anchorage Alaska, Newark New Jersey, Plano Texas, Fort Wayne Indiana, St. Petersburg Florida, Glendale Arizona, Lincoln Nebraska, Norfolk Virginia, Jersey City New Jersey, Greensboro North Carolina, Chandler Arizona, Birmingham Alabama, Henderson Nevada, Scottsdale Arizona, North Hempstead New York, Madison Wisconsin, Hialeah Florida, Baton Rouge Louisiana, Chesapeake Virginia, Orlando Florida, Lubbock Texas, Garland Texas, Akron Ohio, Rochester New York, Chula Vista California, Reno Nevada, Laredo Texas, Durham North Carolina, Modesto California, Huntington New York, Montgomery Alabama, Boise Idaho, Arlington Virginia, San Bernardino California, and all Surrounding areas.